In September 1703, Vivaldi became maestro di violino (master of violin) at an orphanage called the Pio Ospedale della Pietà (Devout Hospital of Mercy) in Venice. Over the next thirty years he composed concertos, cantatas and sacred vocal music for the orphans while working there. The sacred works, numbering over 60, vary from solo motets to large-scale choral works for soloists, double chorus, and orchestra. Two of these will be performed in Romsey this year: one of three settings of the Beatus vir (Psalm 112) which is unusual for Vivaldi’s sacred music in that it is in one single movement requiring soloists, choir and orchestra; and the Magnificat in the more traditional style of shorter, contrasting movements for soloists, choir and orchestra. In the work’s original version, the vocal bass part lay quite high so as to facilitate its performance by the all-female singers of the Pietà! Benjamin Britten wrote the cantata Saint Nicolas in 1948 for the centennial celebrations of Lancing College in Sussex. Writing specifically for the resources available to him on this occasion, Britten scored the piece for mixed choir, tenor soloist, three or four boys, strings, piano duet, organ and percussion. Within this ensemble, the only professional musicians required were the tenor soloist, a string quartet to lead the other strings, and the percussionists. Saint Nicolas marks Britten’s first professional work intended primarily for performance by amateur musicians. Now the cantata is frequently performed by youth and amateur ensembles. The text of Saint Nicolas was written by Eric Crozier after extensive research into the legendary life of Saint Nicolas, Bishop of Myra, Lycia; the original ‘Santa Claus’, a fourth-century saint whose acts led to his canonization as patron saint of children and sailors. Crozier’s libretto paints a dramatically bold portrait of the saint’s character, exaggerating the legends and glory that have accumulated over the centuries around Nicolas’s story. Britten’s lively setting is distinctly operatic, full of incident and colour—with the story brought ‘home’ through the use of congregational hymns. 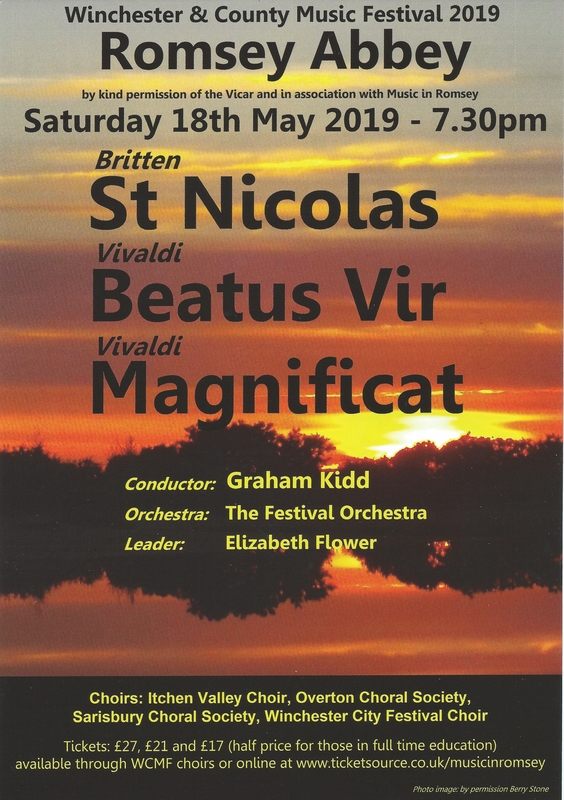 The part of Nicolas is one of Britten’s great heroic tenor roles.